Clyde Naval Gazing: Wild weather! A yacht got into difficulties off Southannon Sands in the Gale force 8 winds 04 October 2008. Caledonian Macbrayne's Loch Shira and Clydeport pilot cutter Mount Stuart were tasked by Clyde Coastguard to stand by the casualty until Largs lifeboat arrived and successfully resolved the incident. Loch Shira returning to service after the incident. She had just left Cumbrae Slip when the incident occurred. 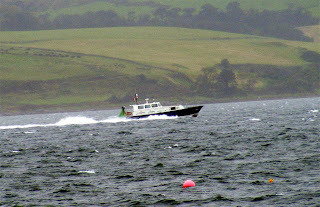 Mount Stuart returning to Largs Yacht Haven after the incident. 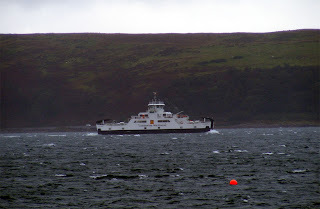 She was just roundiing the head of Great Cumbrae after delivering a pilot to Nena M when the incident occurred.